I am rather surprised that I didn’t play a game of DOTA 2 for my weekend. Interior design has won me over. Or won over my games. 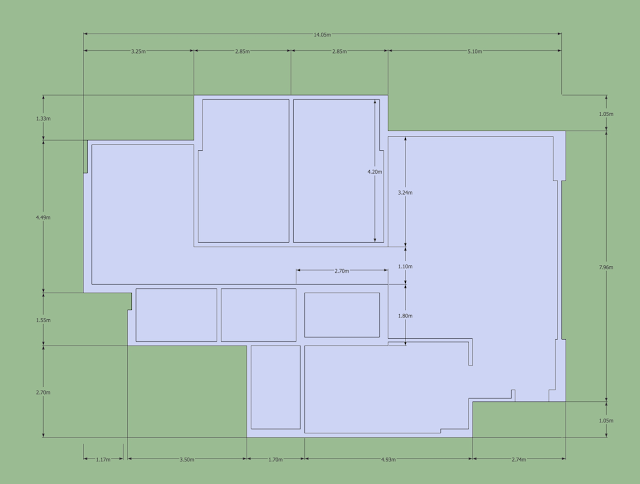 I am very proud of creating the floor plan and 3D model, so I am going to tell you more about it. 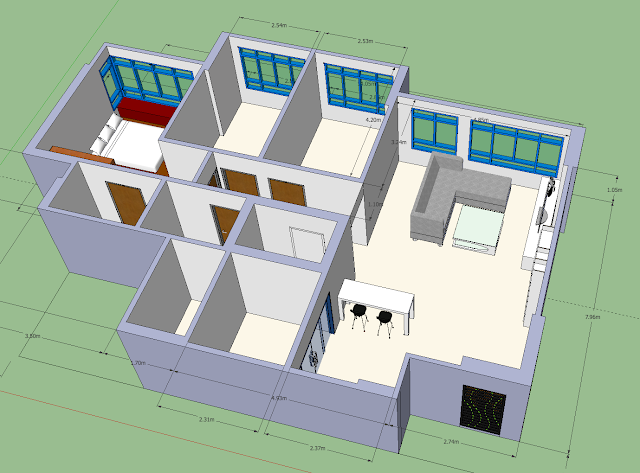 Although I learnt Maya 3D, I chose to use Google SketchUp because it has less feature and is supposedly easier to use. It’s a great choice. 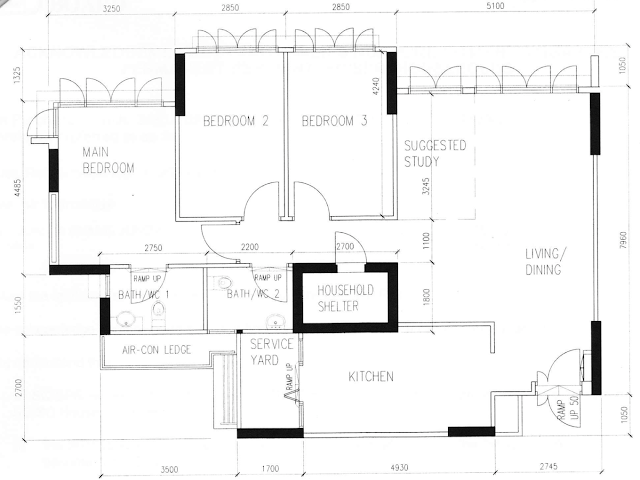 Starting with a floor plan on paper.. 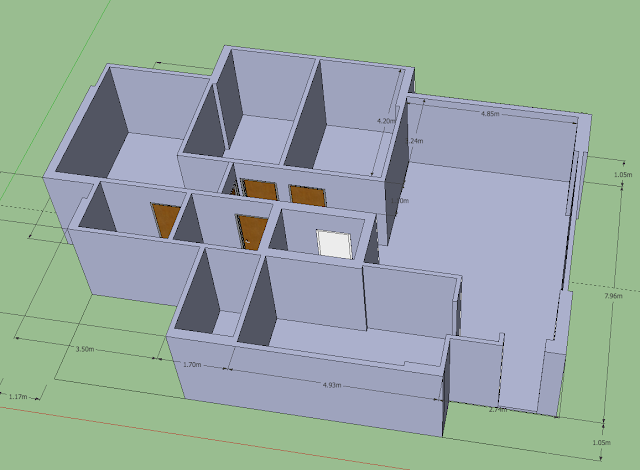 I am able to create a detailed layout in SketchUp shortly! 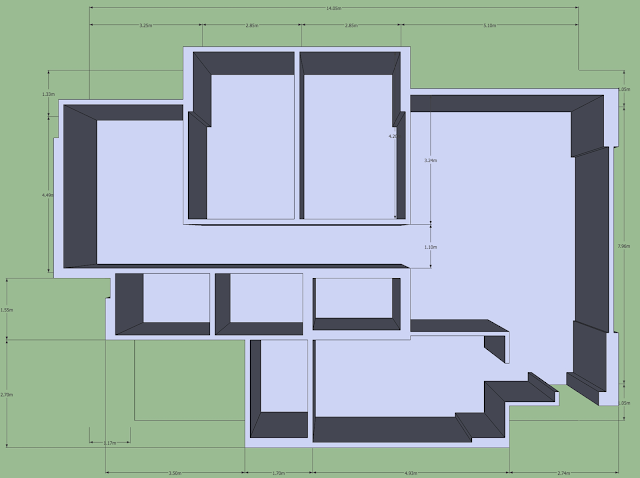 I couldn’t find the thickness for the HDB walls, so I estimated the thick wall is 25 cm and normal wall is 12 cm. 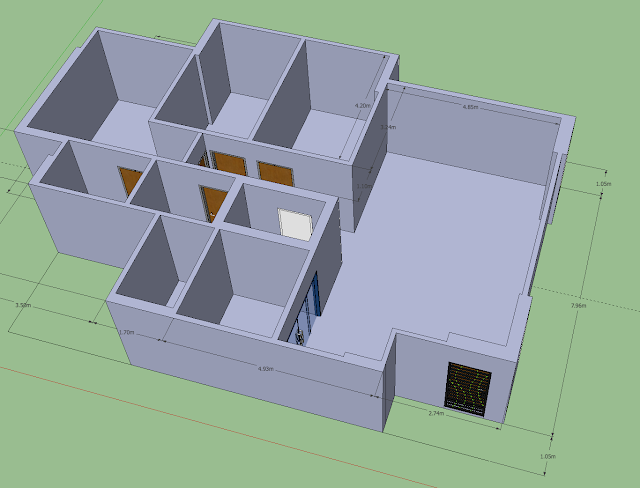 With 2 clicks, I erected the walls (which I estimated to be 2.6 m). Then I added doors, with models from Google Warehouse (which has a million models!). Then I hacked away my kitchen windows to create a wet/dry kitchen and added a sliding glass door. Then spending another few hours to add Yishun Natura’s green tinted windows, paint the walls white, and add some furnitures. PS: I will likely still engage a interior designer. This is just for fun, not doing his job.